Update – Amerisleep recently re-designed and re-named the Liberty. It is now the AS3. Read Amerisleep AS3 review here. Is it time to get rid of that old mattress and jump into a new one? Well what perfect timing! The Amerisleep Liberty is here and is looking to fill the empty void in your bedroom. Amerisleep has been creating high performance, high quality mattresses for nearly a decade. But does the Liberty have what it takes to pass the Sleepopolis performance tests? Continue reading below to find out! In a rush? Click here to skip to the review summary. The Amerisleep Liberty is a 12″ mattress constructed from 3 separate foam layers. Top layer (cooling & comfort) – 3″ of Bio-Pur memory foam. The top layer of Bio-Pur memory foam is designed to provide the cooling, comfort, and pressure relief for the sleeper. The Bio-Pur memory foam technology works to pull heat away from the sleeper, helping maintain a cooler sleeping surface. 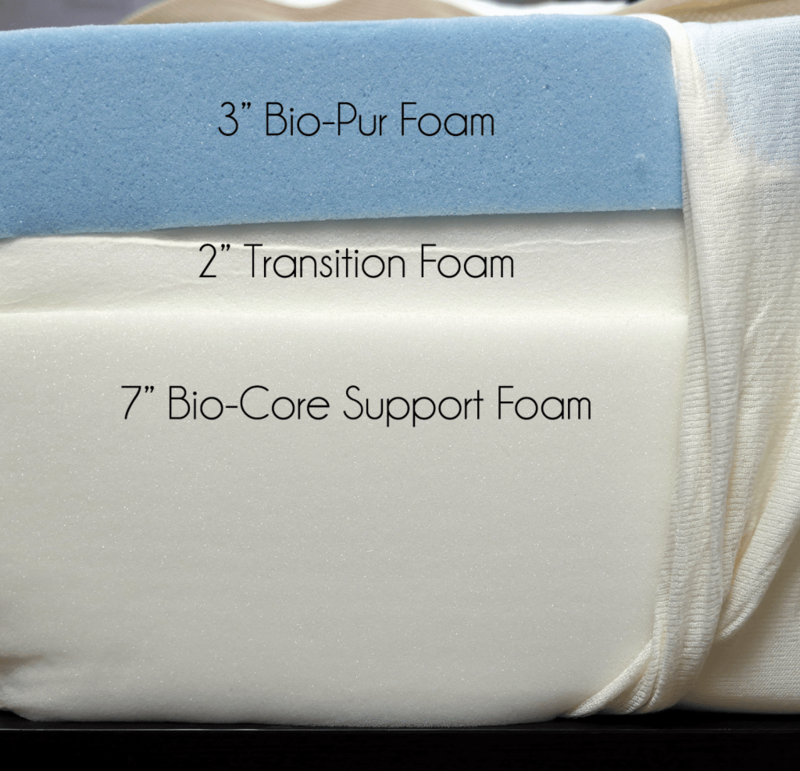 Middle layer (support & pressure relief) – 2″ of transition foam. This layer provides the support for the sleeper. The middle layer also acts a transitional layer from the more supportive base foam and softer top layer of foam. Bottom layer (foundational support) – 7″ of Bio-Core support foam. The bottom layer acts as the deep compression support for the sleeper as well as the foundational support for the mattress as a whole. The cover of the Liberty mattress consists of a combination of Celliant (21%), spandex (2%), and polyester (77%). Celliant is one of the most unique materials used in a cover. Constructed from thermo-reactive minerals, Celliant is designed to turn your body heat into infrared light. Both Celliant and infrared light have been clinically proven to increase blood flow, allowing your body to carry more oxygen. Improved oxygenation of your body during sleep correlates to pain reduction, better temperature regulation, and more restful sleep overall. In addition, the spandex and polyester work together to improve airflow in and out of the mattress while also providing a level of elasticity to the cover. From an aesthetic standpoint, the cover of the Liberty is quite nice. Amerisleep decided to use a wavy theme from the dots on the top of the mattress to the tan mesh running along the side panels. The cover is simple, but very well done and has a sleek modern look to it. The Amerisleep Liberty mattress nails a perfect medium feel. Coming in at a 5 out of 10 on the firmness scale (10 being the most firm), the Liberty is considered a medium mattress. Amerisleep went with a 5 out of 10 on the Liberty in order to try and meet a vast majority of sleeper needs. As I first lied down on the Liberty, I noticed a great amount of pressure relief. Typically, very good pressure relief means super deep sinkage and a stuck feeling. Yet, that was not the case with this mattress. The Liberty does a good job of allowing for deeper sinkage and more pressure relief where you body needs it, but still feels supportive and has an above average response. This can be a huge benefit for the sleeper who needs that pressure relief, but does not want to feel enveloped by the foams. That said, the sinkage depths will vary. As a lighter sleeper (140 pounds) I was seeing about 1.5-3″ of sinkage around my hips while lying on my back. The rest of my body was probably seeing closer to that 1-1.5″ mark. Heavier sleepers can expect a little more sinkage, up to the 2.5-3.5″ depth, depending on weight and body type, but the mattress does a great job of pushing back to provide great support while transitioning body weight into the support layers. Support was another impressive attribute about the Liberty. As a stomach sleeper, I did find that it sank in slightly too much around my lower back area. Most stomach sleepers will be better off with the Amerisleep Revere or Amerisleep Americana mattress. On the other hand, the mattress did a wonderful job of supporting me while sleeping side. The sinkage was consistent across my body and helped to maintain stable spinal alignment. My wife is primarily a back and side sleeper loved the feel on her side, but not as much on her back. Some back sleepers may find the feel and support to be appropriate, provided you enjoy the 5 out of 10 firmness with a little more sinkage. All things considered, I would say the Liberty by far excels as a side sleepers perfect mattress. Cooling and bounce were two additional characteristics I was thoroughly impressed with. Typically, memory foam mattresses have a tendency to hold heat. The Liberty was far from the norm in this regard. The thin cover helped in terms of breathability and overall airflow in and out of the mattress. In addition, the top layer of Bio-Pur foam helps to pull heat away from the sleeper, creating a cooler sleeping surface. Once again, bounce and response is not something you’d expect from a memory foam mattress, however, the Liberty does a pretty good job here as well. 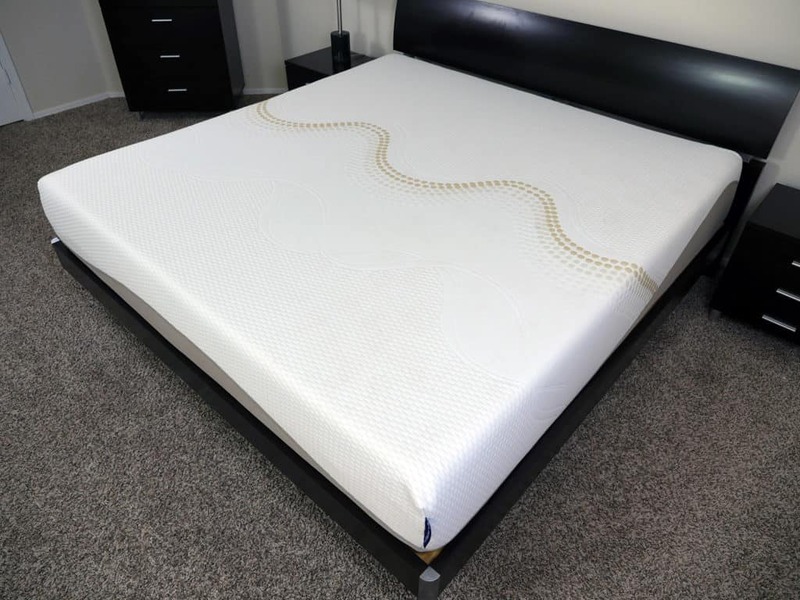 Their foams have the ability to respond fairly quickly (not as fast as coils or latex, but better than most memory foams), helping to add a nice degree of bounce to the mattress. 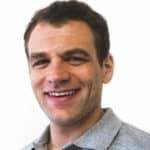 This can be an added benefit for those couples looking to spruce things up in the bedroom, as amorous activities are much more enjoyable when bounce plays a role. It should be noted that the bounce is not at the level of a coil mattress, but it’s not that far off of latex, and significantly better than most other memory foams I’ve tested. My one complaint with the Liberty was edge support. The edge support isn’t bad, but it’s not great. However, it was about what I would expect from a foam mattress that’s on the slightly softer side at a 5 out of 10 firmness. Being 12″ thick does help to reinforce the edges a bit, so the total percentage of relative edge sinkage is within reason. For sitting and amorous purposes the edges can work, the only really weak point is if you sit directly on the edge. Lying on back – as I lied normally on my back with all of my weight spread evenly across the mattress, I saw 1.5-3″ of sinkage. Lying on side – while lying on my side, I saw 1.5-3″ of sinkage. Sitting on the edge (conservative) – in a normal sitting position with my weight slightly away from the edge of the mattress, I saw 4″ of sinkage. Sitting on the edge (aggressive) – while sitting directly on the edge, I saw 5″ of sinkage. Standing in the middle – as I stood in the middle of the mattress with all of my weight in one point, I saw 6″ of sinkage. 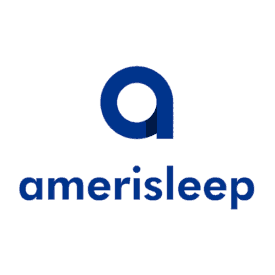 Amerisleep often has a $200 on-site promotion going on. You can combine their on-site promotion with this link for $250 total off. Who should buy the Amerisleep Liberty mattress? Want a medium feel – the Liberty sits at a 5 out of 10 on the firmness scale, 10 being the most firm. This puts it in a bit of a unique position, as most online mattresses are closer to a medium firm 6 out of 10 firmness. 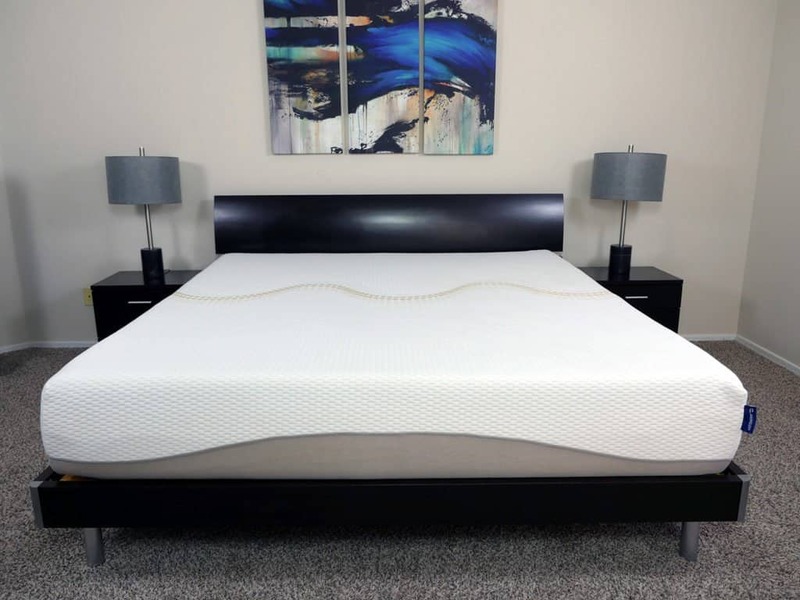 Want an advanced memory foam mattress – Amerisleep makes one of the most advanced memory foams I’ve ever seen. High density, great breathability, and highly durable. 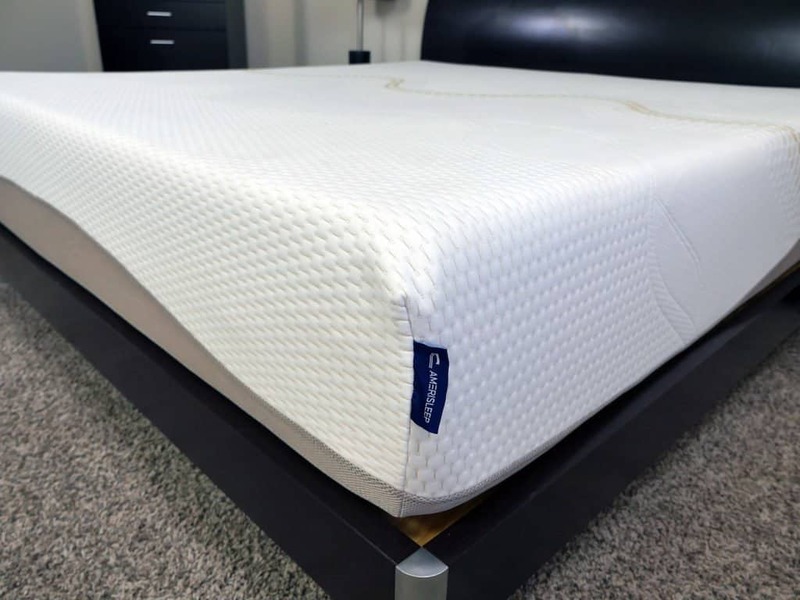 All things considered it’s one of the best foams on the market and it results in a mattress that’s capable of creating excellent pressure relief, but still remaining responsive, good bounce, and solid cooling. Want memory foam AND good cooling & response – the Amerisleep Liberty provides a pretty good response time (not quite as quick as latex or coils, but much better than traditional memory foam) and does a good job of providing air flow, allowing for a cooler sleeping surface, despite the fact it primarily uses memory foam comfort layers. For those sleepers who love the feel of memory foam, but are scared of feeling stuck or warm the Amerisleep Liberty is an excellent way to get both. Looking for more on the Liberty? Visit Amerisleep.com. The Amerisleep Liberty mattress is a love letter to side sleepers. It’s sinkage and hug dynamic creates an excellent feel that relieves pressure, but still keeps sleepers supported. It can also be a good option for back sleepers, provided you like the slightly softer feel. Amerisleep’s advanced memory foams, Celliant infused cover, and overall build quality round out this mattress as being an excellent choice for those who enjoy the feel of medium firm memory foam, but still want great cooling and response.